Every year on the 26th of July, Maldives celebrates its Independence Day with a series of festivities to be held throughout the country. If you were to visit the Maldives in July, you would be promised a show on this day either on the main island- Male’ or in any other resort islands like Kurumba Maldives. At Kurumba Maldives, we celebrated this special event in our unique way with many activities carrying out during the day. 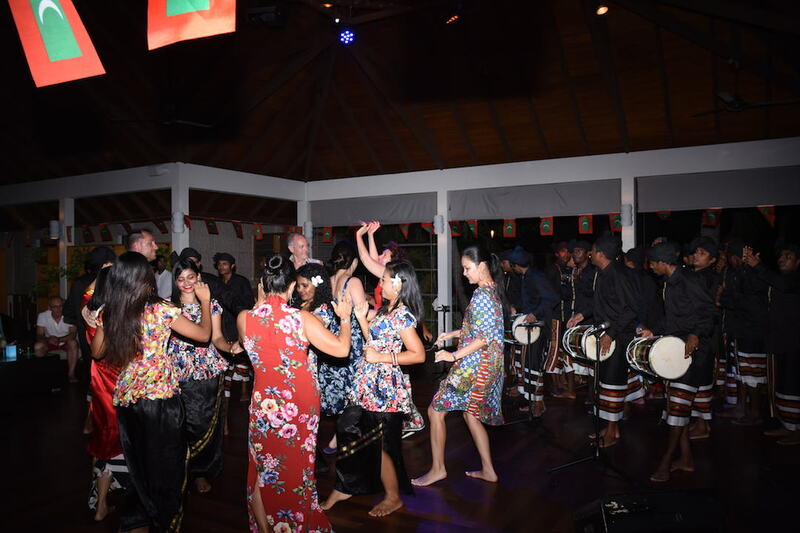 The colours of Maldivian flags and traditional costumes together with the beats of “boduberu” drums created an appealing picture of colours and sounds, giving guests a rare glimpse of the real Maldives. 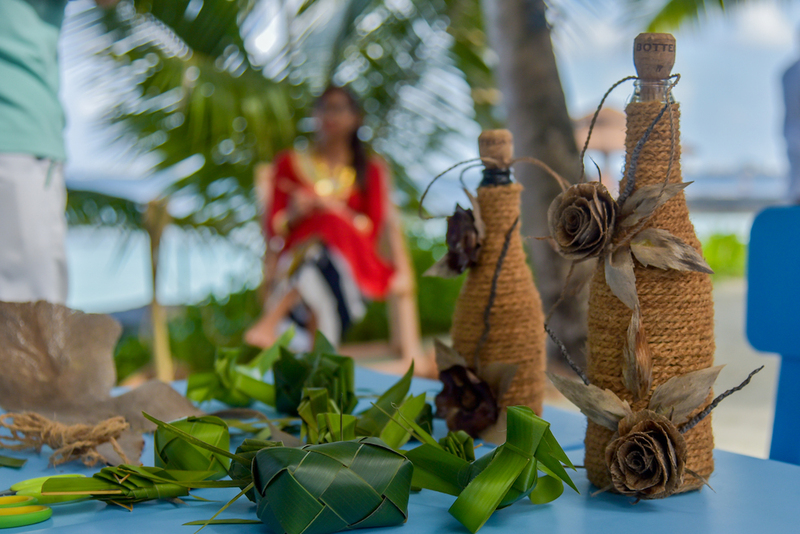 Maldivian art & craft activities were one of the highlights of the event, attracting many guests to participate in. 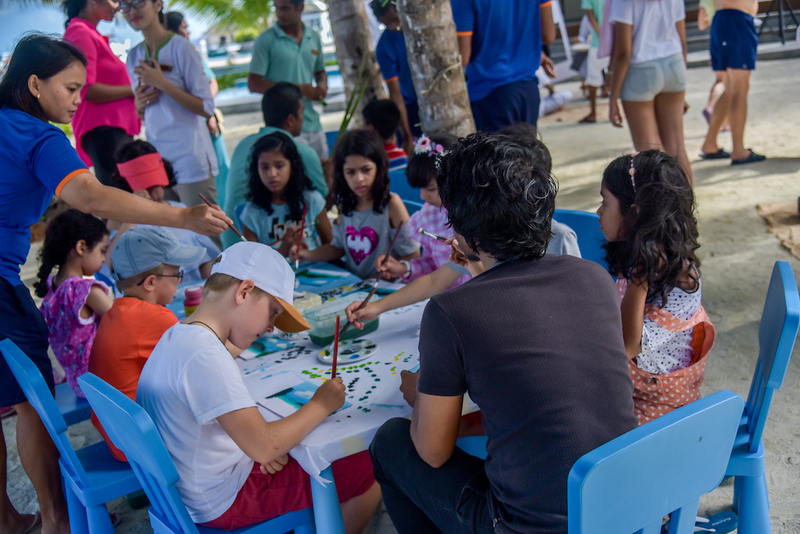 Guests at all ages were given a wonderful opportunity to learn more about some local arts & crafts through activities such as Roses Making Class with coconut leaves, Maldivian Flag Face Painting, Write Name in Dhivehi language on coconut shell. At night, Maldivian-inspired theme buffet at Vihamanaa restaurant offered a great choice for food lovers to experience Maldivian cuisine. 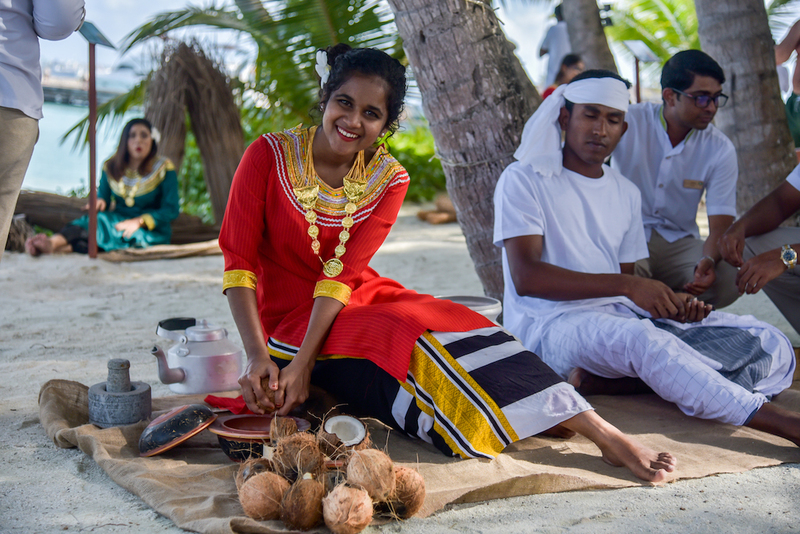 The day full of excitements ended enthusiastically with a Maldivian fashion show, Boduberu performance, a mix of Bandiyaa Jehun with Dhandi Jehun dance and DJ performance at Kandu Bar, remarked a successful event on the occasion of the 53rd celebration of Maldives Independence day. Kurumba Maldives is set on a tropical island in the North Male’ Atoll, conveniently situated a brief 10-minute speedboat ride from the airport. Dotted with coconut trees that are the island’s namesake, Kurumba was the first private island resort in the Maldives. Beautiful gardens, palm-fringed white sandy beaches and a vibrant house reef are the hallmarks of this classic Maldivian resort. The resort offers an array of nine styles of accommodation, ranging from comfortable Superior rooms to the spacious Royal Residence, spread amongst the island’s lush tropical gardens with easy access to the beach. With nine different restaurants to choose from Kurumba Maldives will charm you with its unparalleled choice of the dining experience and a wide range of recreation activities and entertainment. All while maintaining idyllic refuges and quiet spaces of relaxation to create the perfect balance for a holiday in paradise, perfect for honeymooners and family alike. Over the years, Kurumba has played host to a variety of foreign dignitaries and Heads of State, including Indian Prime Minister Dr Manmohan Singh, former UN Secretary-General Kofi Annan, and former US Presidents Bill Clinton, George H.W. Bush and George W. Bush. It has also been the recipient of numerous accolades and awards, including Maldives Leading Hotel (World Travel Awards) in 2010 and 2011, and Trip Advisor’s Travellers’ Choice Awards for Best Service and Luxury (2013) as well as the number one All-Inclusive resort in Asia (2014 and 2015), and number one best All-Inclusive resort in the world (2015).